On this page we have tried to collect some interesting links for you as a ZENITH fan. 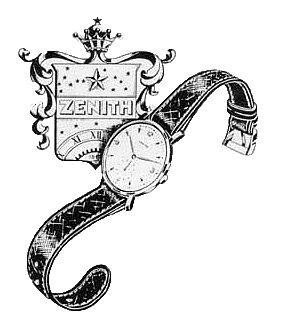 • De officiële ZENITH Website, Take a look at the newest ZENITH collection. • Tribune des Arts – ZENITH, A beautiful article about the history and future of ZENITH. • Vintagezenith.blogspot.com, Nice collection of stunning vintage ZENITH movement pictures.